A pink grosgrain ribbon with white polka dots flares across the white base bow. This is the perfect mix of pink and white and can match any outfit. 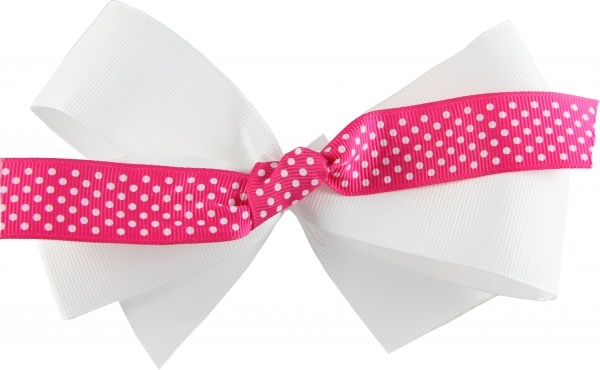 The polka dots ribbon lays on top of the white bow with it's own alligator clip, so it can just slide on and off and actually be worn alone or put on top of any other bow, headband, or beanie that you have. Wear it as shown for that great polka dot look.